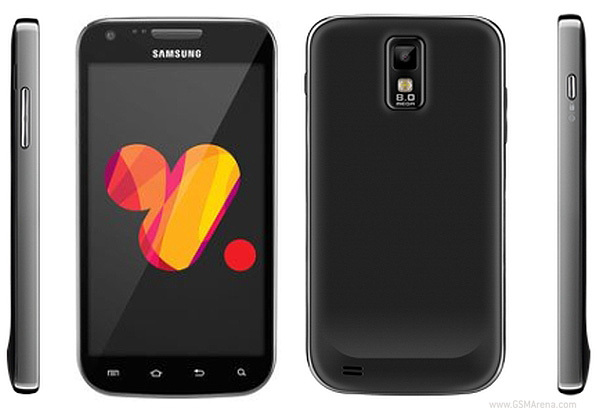 A Chilean carrier VTR has what it claims to the Galaxy S II Plus on its website, complete with pictures and a spec page. The phone looks strangely identical to the T-Mobile version of the Galaxy S II (T989). In fact, if you go through the spec sheet of the S II Plus, you will find more similarities, such as a 4.52-inch, 800 x 480 resolution Super AMOLED Plus display, 1.5GHz dual-core processor, 1GB RAM, 16GB internal memory, microSD card slot and an 8 megapixel camera. The Galaxy S II Plus is said to be running on Android 4.0, Ice Cream Sandwich, something that the T989 did not. VTR has also linked to the T-Mobile page of the T989 Galaxy S II as the official page, which makes us sure that this is nothing but a rebranded version of the T989 for the international markets. That is assuming this phone is for the international market, which seems strange as other than the slightly bigger display this phone is not much better than the original Galaxy S II at all to warrant the 'Plus' tag. Lets be true guys. Samsung is good software wise but fuctionality & shape are boring. y dont samsung creates a purer mobile alike galaxy nexus ? Wch has better resolution and os suitability ! hey watch out ! Superb cool dashing smart phone , nowadays android rule the world under the kingship of samsung :) i'm loving it ! Willing to buy it , but wat's d price ?? ?